Collaborative family lawyers are specially trained solicitors who can help you reach agreement through a series of meetings with your ex-partner. You and your ex-partner each have your own collaborative family lawyer. You all sign an agreement not to go to court. You agree to work together to resolve the issues between you. Meetings are carried out face-to-face between all four of you. Couples often feel more positive about an agreement reached through collaborative family law than a traditional lawyer-led divorce or dissolution because they have been directly involved in negotiations. Collaborative family lawyers can work with accountants or pension specialists if they are needed. It can be more expensive than a traditional lawyer-led divorce or dissolution (depending on how much a couple can agree between them). 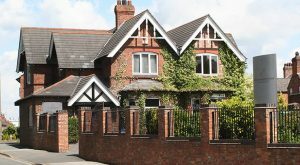 If couples can’t reach agreement through collaborative family law and take their dispute to court, new solicitors would have to be appointed, which would add to the costs. It works best if you and your ex-partner live near each other or can easily get to the round table meetings. It may be difficult to find a collaborative family lawyer if you live in a rural location. In England or Wales on the Resolution website. This article was added on Wednesday, May 11th, 2016 at 11:02 am and is categorised under Cheshire News, Chester News, collaborative law, divorce finances, Family finances, Macclesfield News, northwich solicitors, Runcorn News, Warrington News, Widnes News, Winsford News. Both comments and pings are currently closed. Error: Error validating access token: Session has expired on Saturday, 09-Mar-19 13:12:58 PST. The current time is Wednesday, 24-Apr-19 20:04:14 PDT.